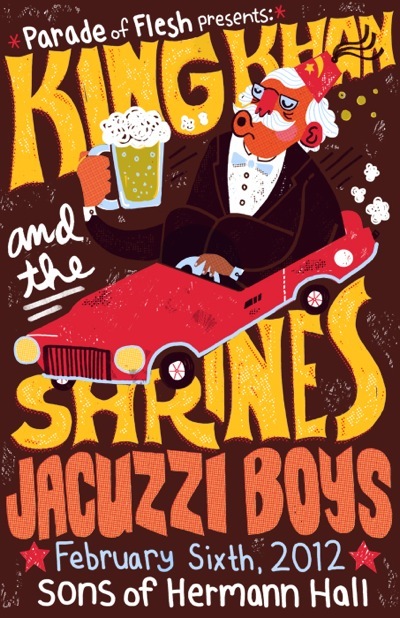 Here is an awesome new poster by Daniel Hughes, who will be printing these up for the King Khan & The Shrines and Jacuzzi Boys show on February 6th at Sons of Hermann Hall. This entry was posted on December 17, 2011 at 2:17 pm, filed under News. Previous Post: New Show: LOS CAMPESINOS! | Next Post: PARENTHETICAL GIRLS touring with LOS CAMPESINOS!